The GAMC is proud of being the sponsor for the Second Base of the Fuerth Pirates. We're glad that we can again support this typical American sport (January 2019). 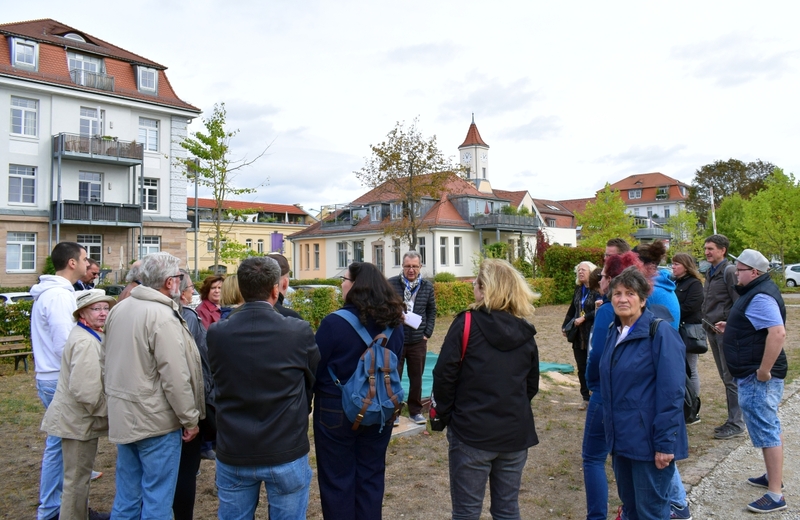 Our excellent tour guide, Dr. Reiss, informed us not only about the life of the former chancellor Ludwig Erhard, who was born in Fuerth. She also explained the economical and political environment that made Erhard an expert in the social market economy. 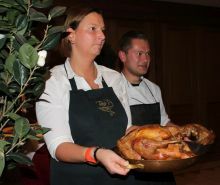 After the tour we enjoyed an excellent dinner in the newly renovated "Grüner Baum". Although we had bad weather with heavy snowfall 25 members attended the meeting. Our president Marco reviewed the last year's activities and gave a preview about the plannings for 2019 (details and dates will follow). After the treasurer's and the auditor's reports the elections of the Board followed which brought no changes. We enjoyed excellent food and service at the DJK Fürth Gaststätte. At Rainer's Restaurant in Boxdorf. We had pumpkin soup, turkey with stuffing, sweet potatoes, brussels sprouts and cranberries. As dessert cakes and coffee were served. Here you can see the slideshow: GAMC2018Thanks. 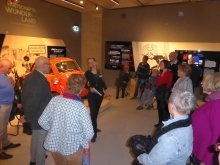 Guided tours "Klein-Amerika" in line with the "Stadt(ver)führungen". 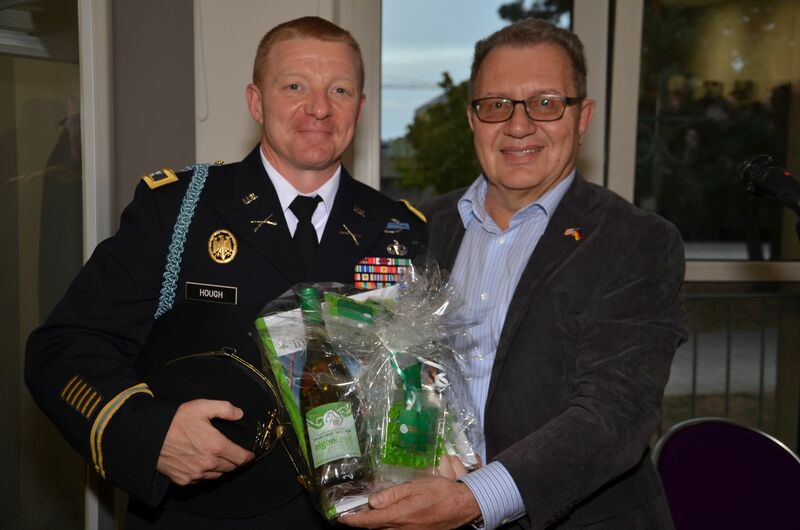 13 September 2018 - "Die Amerikaner in Fürth"
Many people were interested, when the Lord Mayor of Fürth, Dr. Thomas Jung, and the commander of the 2nd Armored Cavalry Regiment in Vilseck, Col. Thomas Hough, opened the exhibition. Report on "Fürther Nachrichten"
At Rainer's Restaurant in Boxdorf. Due to some misunderstandings with the official name of our group "German-American Men's Club" we want everybody to know that the GAMC is open for women for almost 10 years now. The title will be kept for traditional reasons only. The chaining between the United States of America and Germany has been grown in centuries. It withstood the conflict of the Second World War and has increased during the Cold War and the partnership in the NATO alliance. Globalization and shifting alliances, changing ruling parties and their leaders may threaten the friendship between both nations. So it has to be cultivated and strengthened by perpetual efforts. 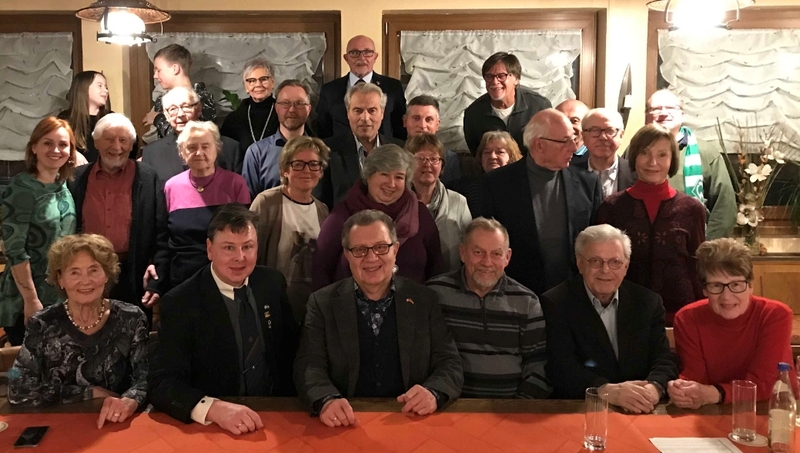 The German-American Men’s Club of Middle Franconia wants to bring people of all nations together to promote and foster greater appreciation of both nations traditions, customs, history and culture. It wants to promote good friends and neighbours and create improved mutual understanding and confidence. The German-American Men’s Club of Middle Franconia was founded in 1970 by Germans, Americans and members of the area’s Military Communities and is one oft he most prestigious clubs in Franconia. The Club has matured over the years, but the overall purposes have remained the same, the desire to bring together Germans, Americans, and English speaking people of other nations for educational, recreational, and social activities sponsored by the Club. 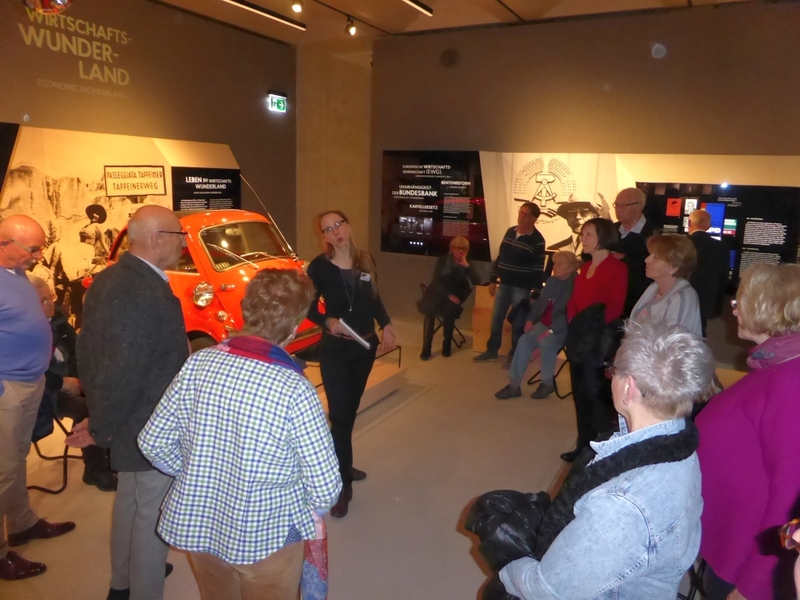 Over the years, the Club has visited museums, churches, palaces and castles, and the wine growing areas of this wonderful region of Northern Bavaria. 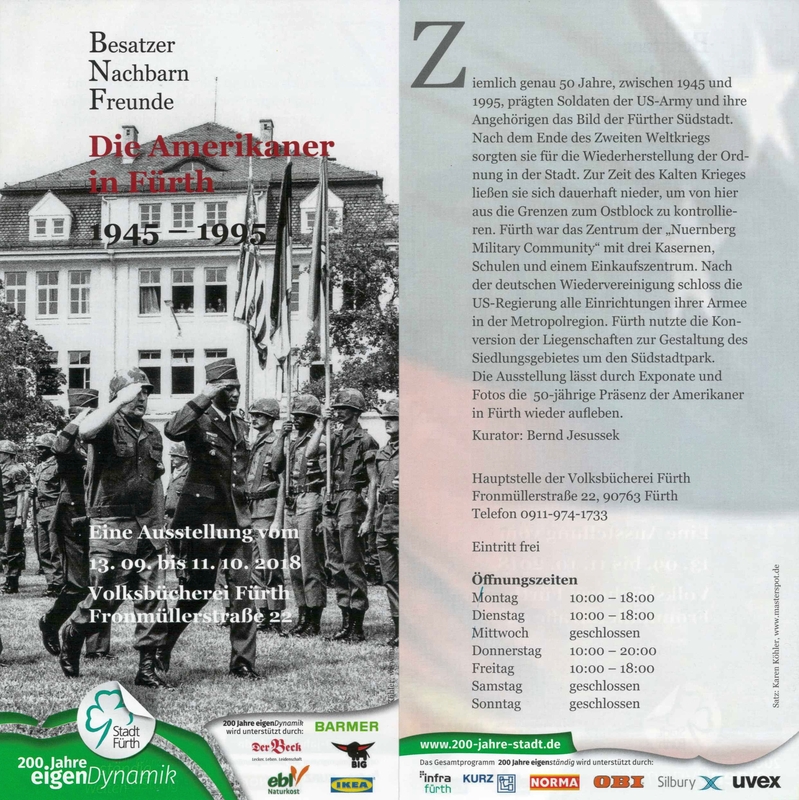 The goal of the German-American Men’s Club is to continue in this tradition, increasing its membership, and continuing to add contributions to International understanding. English speaking men and women of all nations are invited to join. Club Members may sponsor applicants for membership or applicants may contact the club secretary directly if they are interested in joining.